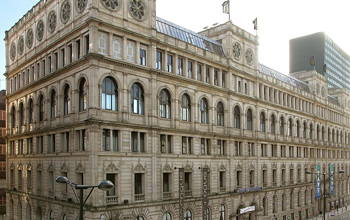 Britannia has two excellent Hotels in Manchester City Centre, which are situated in prime locations close to all the main attractions and shopping districts. These are The Britannia Manchester Hotel and Sachas Hotel. For sports fans, the two football teams, Manchester United and Manchester City are amongst the best in the Premier League, so why not book an overnight stay at one of our Manchester Hotels before the match at Old Trafford or the Etihad Stadium? Shoppers have plenty of choice – the city centre is home to the famous Northern Quarter where designer shops are inter-twined with trendy bars, busy restaurants and lively night clubs. The Trafford Centre is well known as the impressive indoor shopping centre built in the Rococo style, and boasts many shops, cafes and restaurants that serve the thousands of visitors every day. Visitors wanting to visit the Trafford Centre but also wishing to stay in one of our City Centre Hotels will be pleased to hear that there is a Metrolink and bus service which will take them there and back. Culture plays a very important part in the entertainment scene in Manchester, and art lovers will appreciate the exhibitions in the Manchester Art Gallery, Cornerhouse and Artzu Gallery. For the best Manchester Hotel Deals, check our offers page. Our rates are priced very competitively against other hotels in the area including the national chains and local establishments.